Analysis: The league finally wrapped up its lengthy investigation, more than a month after Hunt signed a one-year contract with Cleveland. 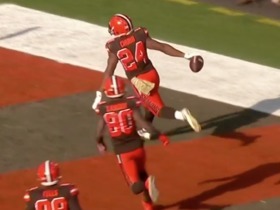 He'll be eligible to return for the second half of the 2019 campaign, eventually providing a major threat to Nick Chubb's workload. Ian Rapoport of NFL Network reports that Hunt won't appeal the suspension. Analysis: Hunt was released by the Chiefs on Nov. 30 after the public release of a video that showed him kicking and shoving a woman. The NFL is still in the process of reviewing his case for a likely suspension, leaving Hunt on the Commissioner Exempt list for the time being. Analysis: The report suggests the likely outcome is a multi-game suspension that would stretch into next season. After being released by the Chiefs on Friday, Hunt is a free agent, though as long as he remains on the commissioner's exempt list, he is prohibited from participating in practices or games. Analysis: Per NFL.com, Hunt is officially a free agent, but at this time he is not permitted to play due to his residence on the league's Commissioner Exempt list. The Chiefs will release Hunt, Adam Schefter of ESPN reports. Analysis: The move comes hours after a video was released that appeared to show Hunt pushing a woman. He was subsequently placed on the Reserve/Commissioner Exempt List, but not long afterward, the Chiefs elected to part ways with the running back. Hunt was placed on the Reserve/Commissioner Exempt List on Friday, Ian Rapoport of NFL Network reports. Analysis: The move comes in response to the release Friday of a video featuring a February incident that appears to show Hunt kicking and shoving a woman. Hunt will be ineligible to play in any games -- including Sunday's contest against the Raiders -- or take part in practice while on the list. According to Lindsay Jones of The Athletic, the NFL opened an investigation in February and will now review the video. A video of an incident from February surfaced Friday in which Hunt appears to be kicking and shoving a woman, ESPN.com reports. 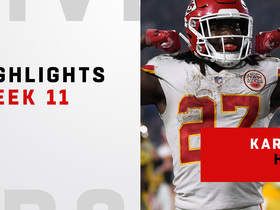 Analysis: Following the release of the video, the Chiefs -- who are slated to face the Raiders on Sunday -- excused Hunt from practice and sent him home from the team's facility, pending further action, per Dan Graziano of ESPN. Hunt rushed 14 times for 70 yards and caught three of four targets for 41 yards and a touchdown in Monday night's 54-51 loss to the Rams. Hunt rushed 16 times for 71 yards and brought in both of his targets for 25 yards in the Chiefs' 26-14 win over the Cardinals on Sunday. Hunt rushed for 91 yards and two touchdowns on 17 carries and added a 50-yard touchdown catch during Sunday' 37-21 win over Cleveland. Hunt rushed for 50 yards on 16 carries while adding 36 yards and a touchdown on five receptions during Sunday's 30-23 win over Denver. Hunt rushed 15 times for 86 yards and a touchdown, adding 55 yards and two more scores on five receptions (six targets) in Sunday's 45-10 win over the Bengals. Hunt carried the ball 10 times for 80 yards and added 105 receiving yards and a touchdown on five receptions in Sunday's 43-40 loss to New England. Hunt carried the ball 22 times for 87 yards and a touchdown during Sunday's 30-14 win over the Jaguars. He added a seven-yard catch during the contest. Hunt rushed 19 times for 121 yards and a touchdown and caught three of four targets for 54 yards in Monday night's 27-23 win over the Broncos. Hunt rushed 18 times for 44 yards and two touchdowns and failed to come up with his only target in a 38-27 win over the 49ers on Sunday. Analysis: Hunt capped off a pair of long first-quarter drives with one-yard touchdown runs, giving him his first two scores on the ground this season. However, Hunt was once again far from efficient on a per-touch basis, logging less than three yards per rush and only posting a long run of 10 yards. His absence from the passing game is also concerning, as he's now seen just three targets through three games. Hunt will face the Broncos in a Week 4 Monday night matchup. Hunt ran 16 times for 49 yards and did not catch a pass in Sunday's 38-28 win over the Chargers. Hunt and the majority of the starters are expected to sit out Thursday's preseason finale against the Packers, Nate Taylor of The Athletic Kansas City reports. Analysis: Coming off a spectacular rookie campaign, Hunt had little to prove during the preseason and essentially used it as a tune-up for the regular season that lies ahead. Coach Andy Reid stated in the spring that he wants to get Hunt more involved in the passing game during the 2018 campaign, which could bode well for his prospects in PPR formats if it holds true. Hunt carried three times for seven yards and turned his only target into a 19-yard receiving touchdown during Saturday's preseason game against the Bears. Hunt gained 15 yards on seven carries and caught both of his targets for 24 yards in Friday's preseason win over the Chiefs. Coach Andy Reid said Tuesday that the Chiefs' first-team offense (which includes Hunt) will play the entire first half of Friday's preseason game against the Falcons, BJ Kissel of the team's official site reports. Analysis: Hunt rushed just one time for one yard and caught one pass for four yards in the preseason opener against the Texans. With a heavier workload evidently on the horizon, Hunt is a DFS option this week, coming off a stellar rookie campaign where he accrued 272 carries for 1,327 yards (4.9 YPC) and eight touchdowns. He also caught 53 passes for 455 yards and three scores. Friday's game will also be the first opportunity to see how Hunt and second-year QB Patrick Mahomes click. Hunt rushed once for one yard and brought in one of two targets for four yards in the Chiefs' 17-10 preseason loss to the Texans on Thursday. Analysis: Hunt battled hamstring tightness in the early stages of camp, and he finally began working in an unrestricted fashion last week. That led to Thursday's game action, which encompassed the first two series. 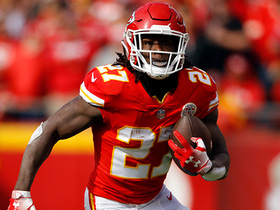 Having seemingly proven the fitness of his hamstring, Hunt figures to see his workload increase when the Chiefs take on the Falcons a week from Friday in their second exhibition game. Hunt (hamstring) didn't appear to have any limitations Wednesday during the Chiefs' practice, Nate Taylor of The Athletic Kansas City reports. Hunt (hamstring) took some 11-on-11 reps at Monday's practice, BJ Kissel of the Chiefs' official site reports. Hunt was contained to individual work for a third consecutive practice Saturday, Adam Teicher of ESPN.com reports. "His hamstring just tightened up a bit on him," coach Andy Reid said. "I don't want to mess around with that. He had a sore hamstring during [offseason practice] and I want to stay away from that so we're easing him back in. He did some stuff early and then we backed him off. I just don't want to take any steps backward." Hunt (hamstring) is being eased into training camp, BJ Kissel of the Chiefs' official site reports. Hunt (hamstring) -- who did not participate in minicamp -- is expected to be ready for the beginning of training camp, the Chiefs' official site reports. Analysis: Hunt was likely held out of the offseason workouts as a precautionary measure to avoid a longer-term issue for the second-year tailback, but it doesn't appear to be a major concern with a month to rest up before training camp. More alarms should sound off if he remains sidelined into a significant portion of camp. Hunt did not participate in OTAs on Thursday due to a hamstring injury, Nate Taylor of The Athletic Kansas City reports. Analysis: Given that the Chiefs said they were holding Hunt out of practice as a precaution, the injury likely isn't being viewed as anything serious during these optional workouts. Look for Kansas City to take every precaution necessary to ensure the tailback is 100 percent for the start of training camp. Hunt could take on a larger role in the passing game in 2018, Terez A. Paylor of The Kansas City Star reports. "We probably need to expand on [Hunt's] role in the pass game," Reid said. "A healthy [Spencer] Ware would be a nice problem to have there. They're best friends, and that would be a nice problem to have." 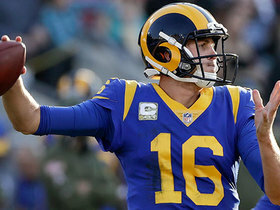 Hunt rushed 11 times for 42 yards and a touchdown while catching all three of his targets for five yards in Saturday's 22-21, wild-card round loss to the Titans. Analysis: Hunt opened the scoring with a one-yard plunge, but failed to get much going after that as his team blew a 21-3 halftime lead. The rookie started the season hot and nabbed the league rushing title, but he flamed out when needed most. Still, Hunt's going to cost a hefty price in redraft leagues next year and makes for a wonderful keeper given his cheap going rate in most drafts prior to this campaign. Hunt nabbed the rushing title for the 2017 season with a 35-yard touchdown run during the first minute of Sunday's 27-24 win in Denver. With fellow running back Charcandrick West (illness) out in Week 17, Hunt is officially active against the Broncos. Charcandrick West (illness) won't play Sunday against the Broncos, leaving Kareem Hunt and Akeem Hunt (shoulder) as the Chiefs' options at running back in Week 17. Hunt is expected to sit out Sunday in Denver, Adam Teicher of ESPN.com reports. Analysis: After head coach Andy Reid decided to name Patrick Mahomes the starting quarterback for the regular-season finale Wednesday, the writing was on the wall for all of the Chiefs' primary skill-position players. With Tyreek Hill (non-injury) also ruled out, Hunt is poised to join him, along with Alex Smith and Travis Kelce. In place of Hunt, backfield reps will likely be split between Akeem Hunt (shoulder) and Charcandrick West (illness), who are both questionable for Sunday's contest. Hunt carried 29 times for 91 yards and a touchdown and brought in four of seven targets for 15 yards in Sunday's 29-13 win over the Dolphins. Analysis: Hunt played the role of a true workhorse back for the third straight week, with his carry total Sunday equaling the career high he'd established against the Texans in Week 5. The rookie also got into the end zone on the ground for the third straight week when he went in from a yard out with 3:37 remaining the first half. Hunt remained involved in the passing game for the fourth consecutive game as well and should once again play a sizable role against the Broncos in Week 17. Hunt carried 24 times for 155 yards and a touchdown Saturday against the Chargers. He also caught seven of nine targets for 51 yards in the 30-13 win. Hunt rushed 25 times for 116 yards and a touchdown while catching all three targets for 22 yards in Sunday's 26-15 win over the Raiders. Hunt rushed nine times for 40 yards while catching three of five targets for 23 yards in Sunday's 38-31 loss to the Jets. Analysis: Hunt didn't get many touches in a game that saw Tyreek Hill and Travis Kelce each catch a pair of touchdowns. The rookie running back hasn't topped 80 yards from scrimmage in any of his past five appearances after breaking triple-digits in each of his first seven. Hunt rushed 11 times for 17 yards while catching his lone target for nine more in Sunday's 16-10 loss to Buffalo. Analysis: Hunt gained just four yards on five first-half carries and wasn't much better in the second half. 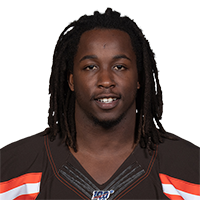 The talented rookie's 26 yards from scrimmage were easily a career low after he had topped 60 in each of his first 10 appearances. Hunt's recent decline has coincided with an overall dip in effectiveness for the once-dominant Kansas City offense, and after scoring six touchdowns in his first three career games, he's now been held out of the end zone in every subsequent contest. Hunt rushed 18 times for 73 yards and added three catches for four yards on four targets in Sunday's 12-9 overtime loss to the Giants. Hunt carried nine times for 37 yards and hauled four of five targets for an additional 24 yards in Sunday's 28-17 loss to the Cowboys. 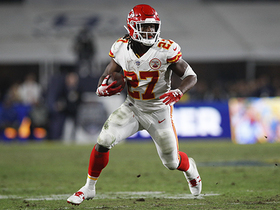 Watch the best plays from Kansas City Chiefs running back Kareem Hunt vs. the Los Angeles Rams in Week 11. 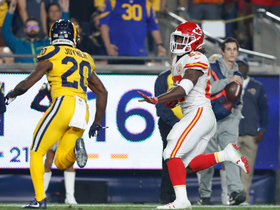 Kansas City Chiefs running back Kareem Hunt bursts into the Los Angeles Rams' secondary on a 27-yard run. Kansas City Chiefs running back Kareem Hunt uses blockers on a perfectly executed screen play for a 21-yard touchdown. 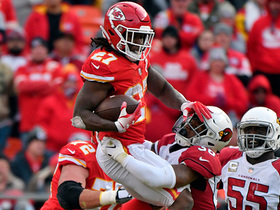 Kansas City Chiefs running back Kareem Hunt tries to hurdle Arizona Cardinals safety Budda Baker but it doesn't work..
Kansas City Chiefs running back Kareem Hunt breaks multiple tackles on powerful 14-yard run. 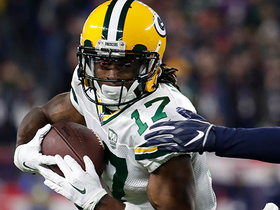 The "NFL Fantasy Live" crew give their best fantasy starts for Week 10. 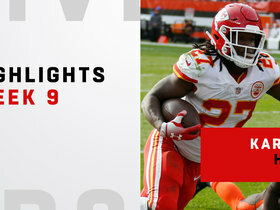 Watch Kansas City Chiefs running back Kareem Hunt's most impressive plays in his Week 9 matchup against the Cleveland Browns. 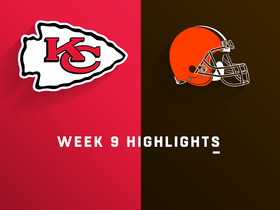 Watch complete highlights from the Week 9 matchup between the Kansas City Chiefs and Cleveland Browns.